Bus planned this summer for Terminal Road, NSCAD's Port Campus and the new Farmers' Market. 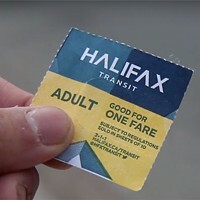 Bus service is a possibility this summer for Terminal Road, NSCAD's Port Campus, the new Farmers' Market and the new Nova Scotia Power site on the Halifax waterfront. Eddie Robar, Metro Transit's manager of planning and development, says the transit service will propose a waterfront route to city council in April. If approved, Route 8 will begin to run in August. The route is an addition to Metro Transit's five-year-plan. The new bus route "focuses around replacement of the downtown shuttle," Robar says. Downtown Halifax councillor Dawn Sloane and several businesses in the area lobbied for the shuttle last year. Robar says Route 8 would connect the waterfront to bus terminals---in turn, connecting it to suburban and rural areas---which the shuttle wouldn't have done. The bus would travel from Scotia Square, down Lower Water Street and back up Hollis Street every 30 minutes. NSCAD's Port Campus, the Seaport Farmers' Market, which will open this summer, and Nova Scotia Power's March relocation of its corporate headquarters to the old generating station on the waterfront, are all factors in Metro Transit's decision to add the route to its plan. Sara Gallant, a NSCAD student, says the waterfront should have gotten bus service when NSCAD's Port campus opened in 2007. "We have to wait until [the Farmers' Market] is finished before we can have anything," she says.